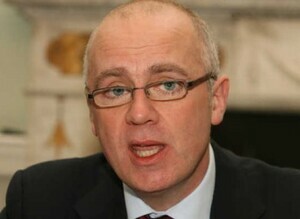 Hearing David Drumm has been arrested in the United States. My understanding is David Drumm has been arrested but not charged until Tuesday. Rumour he is in a cell tonight ahead of Tuesday. 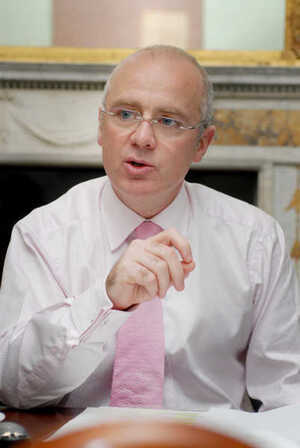 Posted in Misc and tagged arrest, David Drumm at 9:56 pm on October 10, 2015 by Broadsheet. Regardless of what he is going to be charged with, it makes me all warm and fussy inside knowing he is in a cell. Wonder what he’ll “pull out of his arse”, this time. Big dave on “A” wing with any luck. On a day with appallingly bad news, this did perk me up a bit. According to NamaWineLake, there’s no charges. It’s to do with extradition to here. Where he’ll be let go with no consequences I imagine. G.E propaganda. 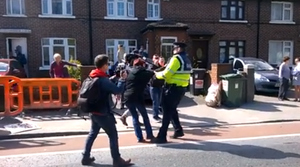 Blue shirt connections had him arrested for newsprint in Ireland. Absolutely no reason for him to be lifted in his current jurisdiction. Not saying his a scoundrel but timing is everything. Indeed. It’s just optics for the forthcoming election. Anyone know if charges are pending in this jurisdiction? So you’re imagining that Enda decided to call up the police force of a different country to round up someone he doesn’t like in order to get a day of good headlines ahead of an election that might not be for months and the American cop on the other end of the line just said ‘Grand so’? Just so I can be clear how paranoid and delusional you are. I can presume the charges are known to you are they? You utter fool. He was taken into custody prior to potential extradition. You and the other tin foil hat brigade members above have egg all over your faces. There was an article stating why he was arrestedon the irish times last night and you didn’t even bother to read it before jumping to your stupid conclusion. The tone of your comment indicates that you are kind of angry, defensive and at the same time also of low intelligence. Probably an FG voter alright. That’s exactly how international diplomacy works. Little deals with help each other out politically. America wants a nice compliant little friend in Europe and we get little favours from them in return. Never mind the homeless crisis: Get him over here and into a holding cell .. .then call an election! I’m sure he’ll get free legal aid when he goes to court, if he ever does. Didn’t Seanie get a postponement because he might not get a fair hearing. Criminal justice system is rotten. Many of the judiciary. legal professionals and high flyers move in the same circles. Justice certainly is NOT blind. Same reason the Jobstown protesters and opposition politicians are all due to be in court early November so they’re out of the way in the run up to the election. Those charges could be dropped if Burton withdrew her complaint. But instead, they’re using it as a political policing strategy. Inherently inappropriate in a democratic country.